Many people have heard of a house plan called “The Vancouver Special”, now there is a house plan designed by South Island designer Summers & Associates called “The Vancouver Island Special”. 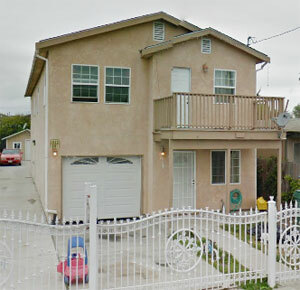 The “V.I.S.” is an inexpensive to build five bedroom single family residence that can be converted into four apartments without major construction, structural changes, or any additions. All of the work involved in the conversion is minor and interior only. The plan has a small footprint so will fit onto many substandard lots, and is very simple and inexpensive to build. There are four bedrooms in the main part of the house along with a separate one bedroom apartment. Also under the same roof is a standard sized single car garage. The primary purpose of “The Vancouver Island Special” is to generate positive cash flow. This plan works well for retirees who want additional income from their house, large families who need space, or can be used with commercial below and ample residential above. One version of the plan, with a stucco exterior finish, has been built in California. This version was a duplex with two three bedroom apartments. The exterior can be anything but is offered in single wall exterior grade plywood sheathing for the economy minded. It is very simple to add any additional exterior finish over the plywood and change the look completely. The mini coach house is a large single car garage with a one bedroom apartment space above. It is also perfect as a small shop with a large office above. A large single car garage with between one hundred and one hundred fifty square feet of habitable space above. The second floor can be a micro apartment, storage, or an office space. The low fifteen foot high ridge works well for municipalities with low maximum height restrictions for accessory buildings. 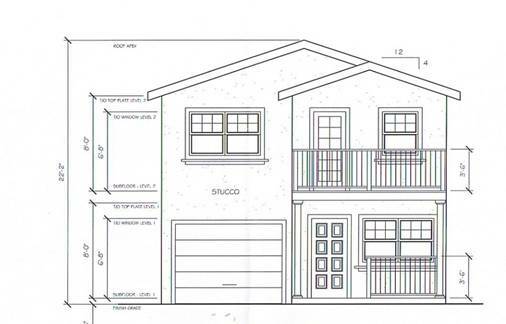 The building plans are available as basic working drawings for permit application. Additional engineering or modifications might be necessary depending on the requirements of your specific location and are not included. Five sets of the complete full size, imperial scaled prints are mailed to you upon purchase. At this time metric is not available. Referral to an economy panelized builder is available in some locations upon completion of purchase. You will need to create a site plan, instructions are included, or we can prepare your site plan for an additional fee of between one and two hundred dollars. Complete site information will be required. It may be possible to pick up the plans for a fee in South Vancouver Island.